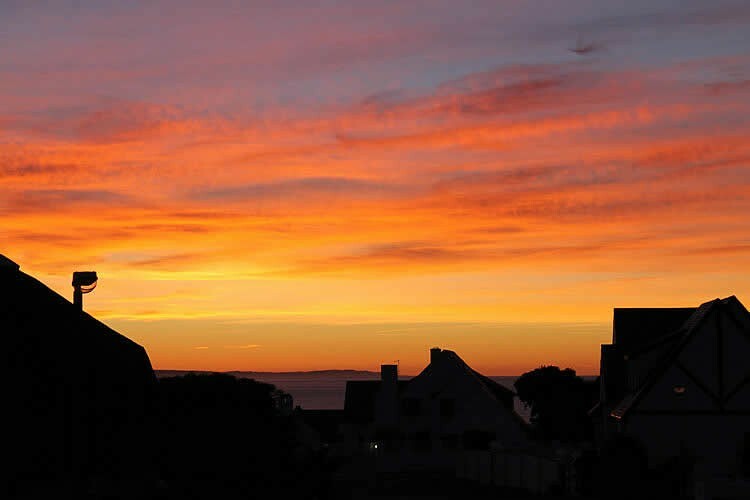 Cottage on the Hill is a 5 Star Luxury guest house accommodation in St Francis Bay, offering bed and breakfast and self-catering. 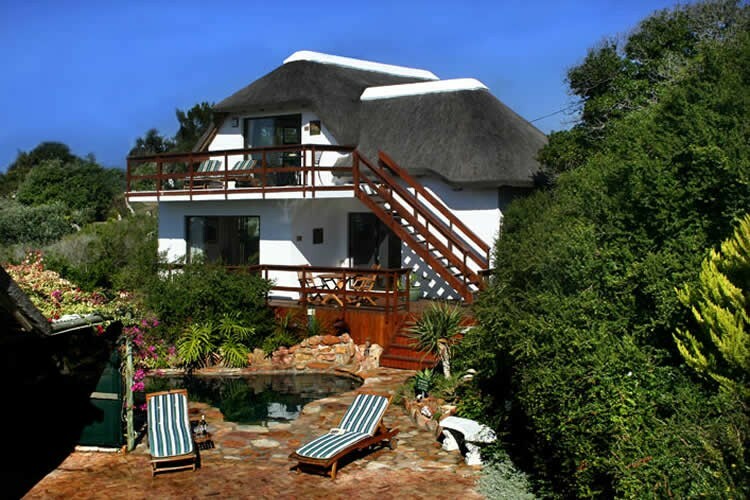 Cottage on the Hill is situated on the ridge with a magnificent view of the Bay, Mountains and Village. 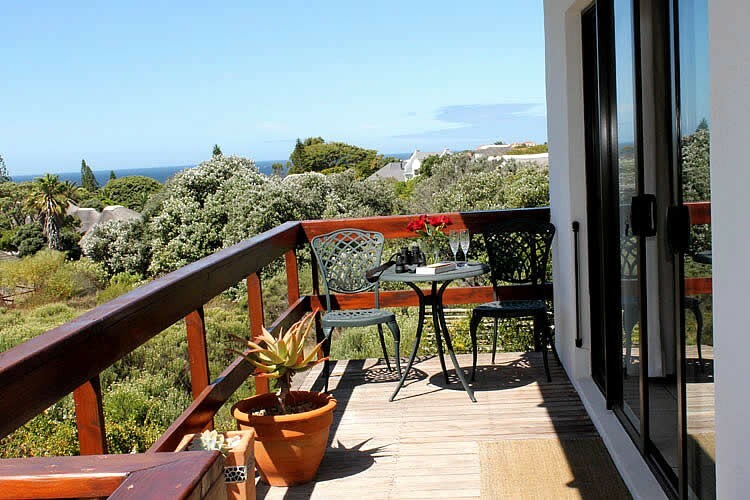 This charming guesthouse overlooking St Francis Bay will capture your heart. 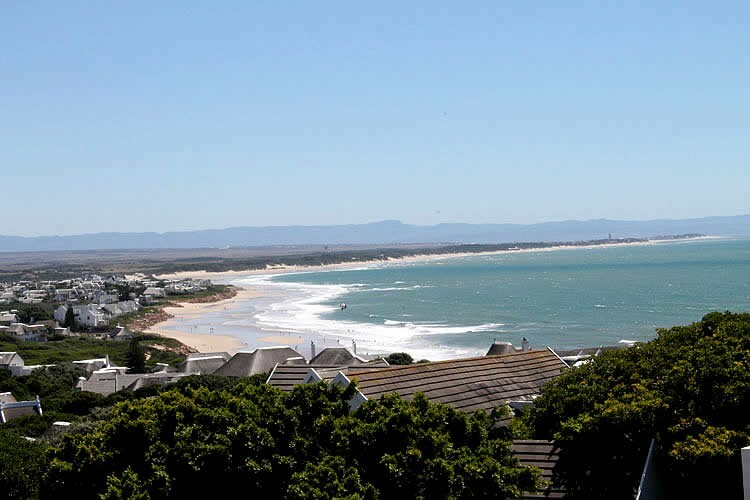 It is within walking distance to the main beach, village and golf course. The spacious, stylish executive rooms and delightful cottage include Persian carpets and original oil paintings. 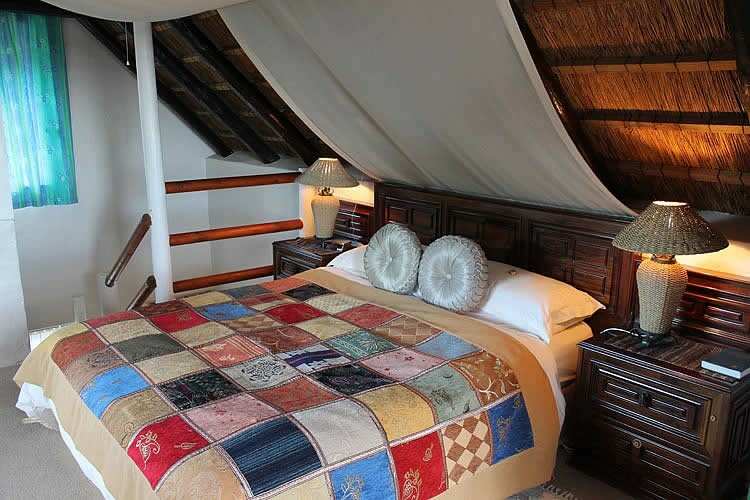 The rooms have private entrances, magnificent sea views, percale cotton linen and many comforts to spoil and pamper. An unforgettable experience for those on honeymoon. King size bed, Victorian bath with sea views, lounge. Private Suntanning deck. Enjoy sundowners and 300 degree views from your private deck. 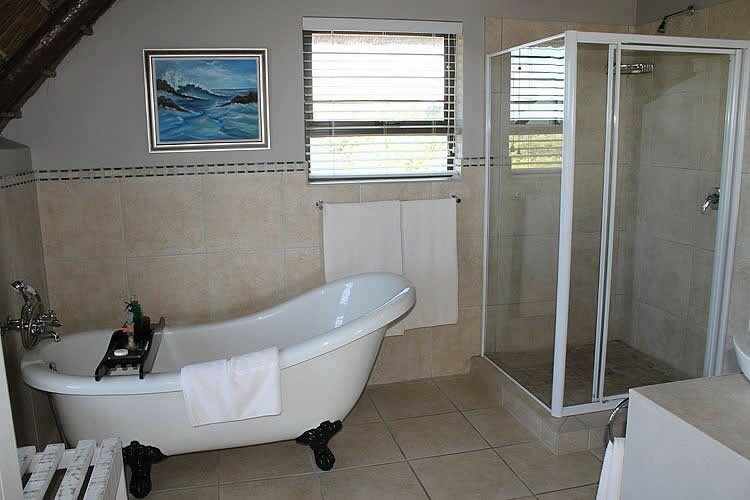 Perfect for self catering. 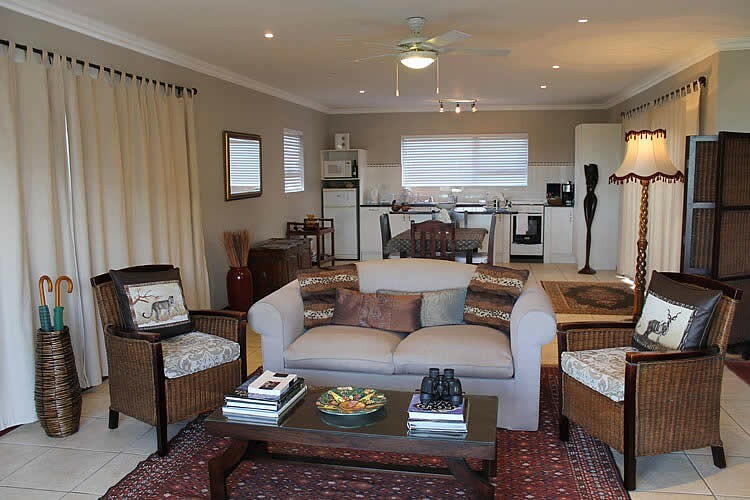 This stylish and very spacious, open plan suite (75 sq.m), has a lounge with DSTV, dining area and fully equipped kitchen that opens onto an enclosed braai patio. 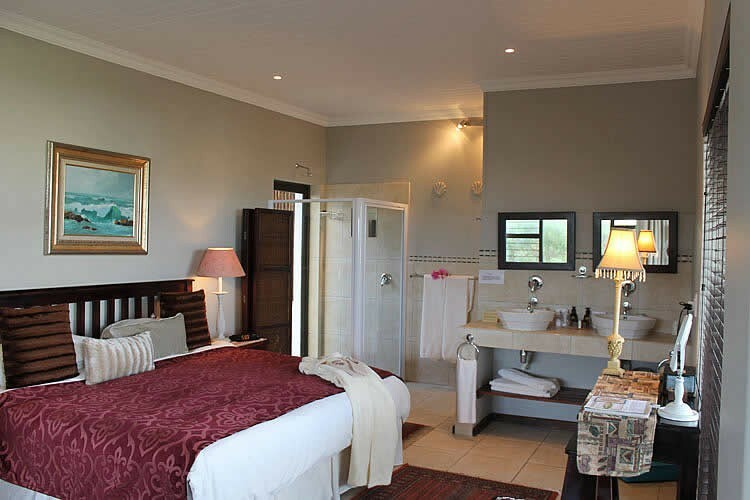 King size bed or 2 single beds, en-suite indoor/outdoor shower, TV with Mnet, tea & coffee, patio overlooking pool. 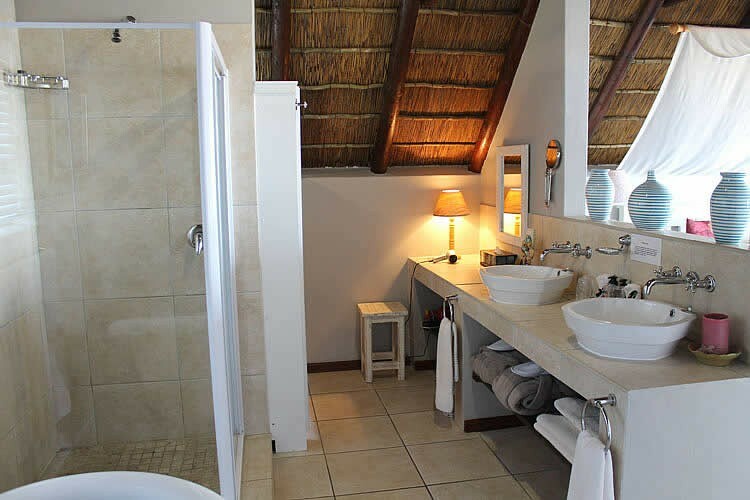 The ever popular cottage is a gem. 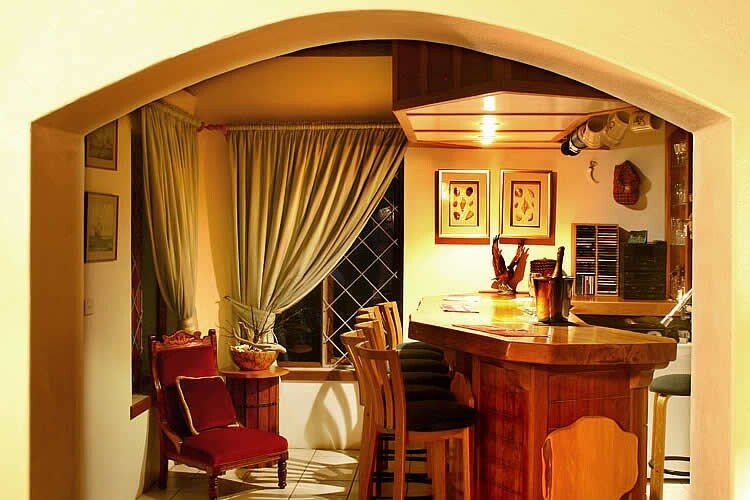 Relax and read a book or enjoy a braai in the enclosed Guineafowl Cottage Boma. Lounge area with sliding doors opening onto small patio. Fully equipped kitchenette for your comfort and opens on to private courtyard with patio furniture. Upstairs balcony of the cottage have beautiful sea views. Delicious breakfasts are served in our Bay Breakfast Room. 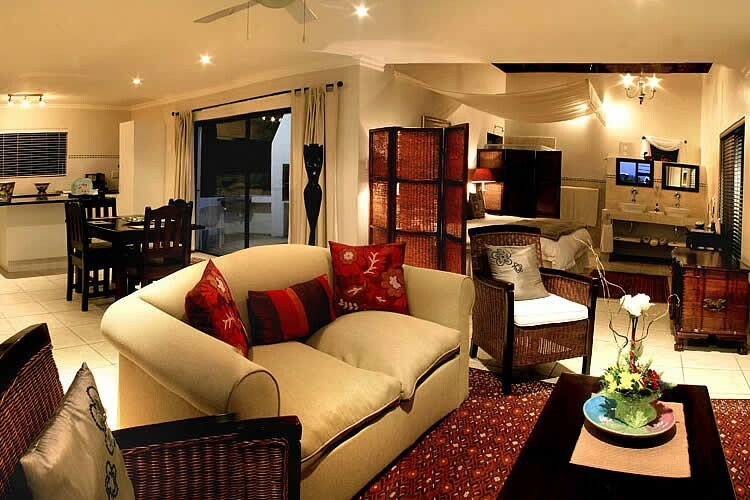 You have a self catering option as well. 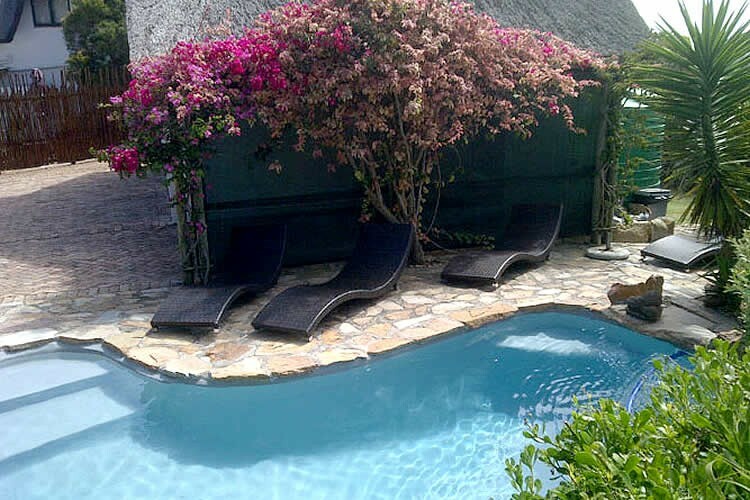 Sunbathe on your private deck overlooking the natural rock pool with waterfalls or sip sundowners and enjoy the last rays of sunlight over the bay. There is an abundance of bird life in the fynbos garden and guests may be lucky enough to see Mongoose and Francolin. An ideal location for honeymooners. We accept children aged 14 years and upwards. Take the next left, signed "Homestead Road"
Cottage on the Hill Guest House is at number 63 on the right just before the next T-junction.